Israeli Prime Minister Benjamin Netanyahu hit back Tuesday against comments from Rep. Ilhan Omar, D-Minn., who had suggested that the reason Israel is solidly supported by the U.S. government is because of money. "From this Benjamin, it's not about the Benjamins!" Netanyahu told the AIPAC conference in Washington, D.C., speaking by satellite hook up from Israel. "They reason Americans love Israel," he added, "is not because they want our money, it's because they share our values. It's because America and Israel share a love of freedom and democracy." 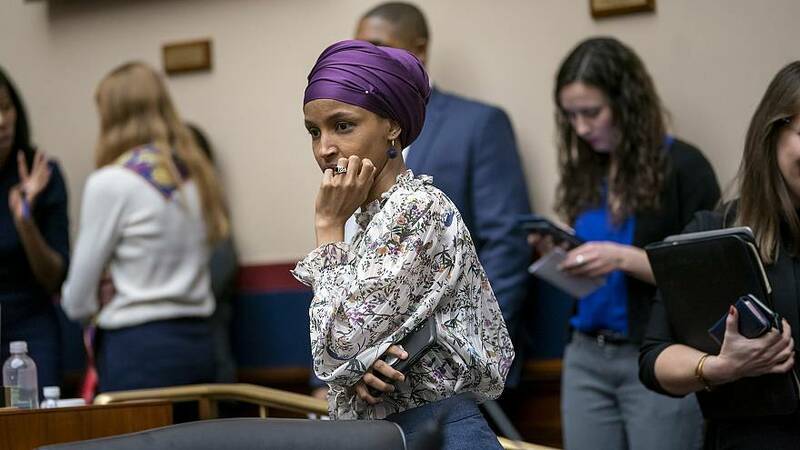 Netanyahu's remarks were in response to a February tweet by Omar, who is Muslim, that American support for Israel was "all about the Benjamins baby." Weeks later, she also said pro-Israel activists pushed for "allegiance to a foreign country." Both comments triggered accusations from some lawmakers and prominent Jewish groups of anti-Semitism and playing on toxic anti-Jewish stereotypes. 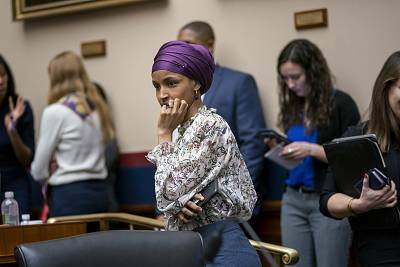 In response, the House of Representatives approved a resolution condemning anti-Semitism and other forms of hatred though the measure did not single her out. Omar has apologized for suggesting that the United States' connection to Israel is driven by money from AIPAC. Moments after Netanyahu's remarks — who had been scheduled to speak to the conference in person but returned to Israel early after rockets were launched from Gaza — Senate Majority Leader Mitch McConnell, R-Ky., also addressed Omar's comments, saying that "for many years, such slurs and tropes were limited to the fringes." "Sadly, they've recently received new prominence, having been repeated and retweeted by a sitting member of Congress," he said, not mentioning Omar by name. "My friends, your advocacy is not a conspiracy. Your passion is nothing to apologize for. It is the essence of our democracy." Speaker after speaker at the three-day AIPAC conference referenced Omar to the audience of 18,000 who packed the Washington Convention Center, watching the proceedings from a dozen giant screens flanking the sage. Meanwhile, House Speaker Nancy Pelosi, addressing the group on Tuesday, touted the anti-hate resolution she recently shepherded through Congress in response to the Omar controversy and condemned the "myth of dual loyalty" and the BDS movement (boycott, divestment, sanctions) as "bigotry masquerading as policy." "I simply declare to be anti-Semitic is to be anti-American. It has no place in our country," Pelosi said to applause.